Two surgeons at University Hospitals Leuven in Belgium have found and named a new ligament in the knee, which they dubbed the anterolateral ligament, or ALL. Dr. Steven Claes and Dr. Johan Bellemans have spent four years researching knee injuries, specifically those to the anterior cruciate ligament, using an 1879 article that talked about an additional – but as yet unseen – back-of-the-knee ligament. 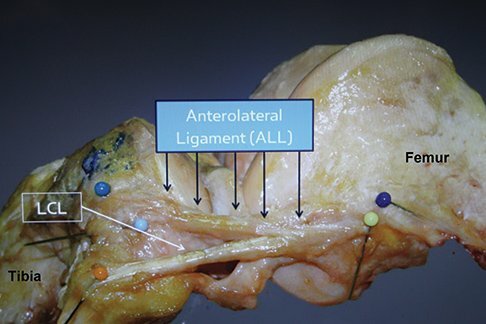 After dissecting countless cadavers, Dr. Steven Claes and Dr. Johan Bellemans surmised that the ALL ligament is present in 97% of people and that tears to the ALL are connected to serious ACL injuries.